New: Uber transactions done internationally are also eligible for 10X Rewards as per this programme. Anyone here used SOTC? Do share your experiences in comments! Point will be posted: 90 working days from the date of transaction. In reality, its getting posted by first week of the following month. 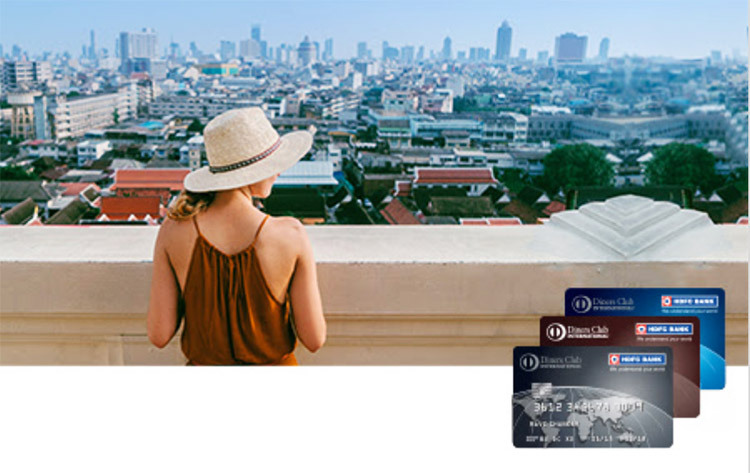 This program coupled with the HDFC Global Value Program, is the most rewarding international transactions promo program in the country for now. However, as Online spends are no longer considered, its safe to say that this offer is gone. Because Diners Acceptance is poor in foreign countries. With HDFC 10X program, i would say India is undoubtedly witnessing the golden age of credits cards. Apart from Diners 10X program, note that the Smartbuy offer is applicable to other HDFC Cards as well, which means HDFC credit cards are a must to be in your wallet. Have you guys reached the saturation point with 10X like me or still hitting the upper cap every month? Feel free to share your views in comments below. Great news. Thanks for the quick update. Also great to see so many new posts frequently. Keep up the good work Sid. In smart buy offer, you mention non-hdfc card for regalia . I guess you meant to say non-diners. Yes, thanks for spotting. Updated! My statement cycle is 16th of every month. I made a purchase on 18th October and I have not received the bonus points till the 1st week of November. Will i get it after the 1st week of my next cycle, that is after 16th November? The smart buy offer is applicable to the postpaid bills too? Book via customer care there will be no convenience fee..
International 10x offer now limited to POS transactions only ! Bit sad ! Limiting 10x on international transactions to POS will definitely influence my buying decision. Buying almost everything on sites like aliexpress with Diners Black was way cheaper option till now. I am following your blog from quite a lot of time and it has been very helpful. 1.) Which is the best card for lounge program? I would also like for my wife to share the benefits of lounge program? Which card is best for that? 2.) Which card is best for fuel purchases? 3.) I hold HDFC Diners Club Black? I also wanted to take Regalia from HDFC since with that I can share lounge benefits with my wife? Is it possible, since HDFC has policy of 1 card per user? It would be great if you could write an article as answers to my questions. It will help others also. Fuel card article you have done but it is not relevant now I think. YFE gives unlimited domestic and international lounge access to primary as well as Add On card holder. YFE is issued card on card bases, Other bank card is suppose to be one year old and 8L credit limit. 1. There are several cards in the market that offer lounge access now. Not sure on what parameter i can qualify any card as “best” for lounge access. Once you are in the lounge, you get treated like any other guest. No special privileges for anyone. Many cards do provide lounge access on add-on card like Diners black, Yes first exclusive/preferred, Regalia and so on. 2. Not entirely sure about this. someone else can probably answer. 3. I do hold both Diners black and Regalia together right now. Depends how well you can convince your RM. They will split the credit limit across the two cards. Although wrong place. But I just landed back from Las Vegas. Used 15000 air miles from sbi air india credit card and paid just 3000 inr for a round ticket. One of the ways in business class. I am getting addicted to the miles game now. But I notice jet airways miles required for a free flight is higher than air india and plus the taxes a we need to pay are higher. Which route did you fly? Hello All , Hi Abhisekh and sidarth, I had got moneyback CC from HDFC in 2015 with limit 49000. It has been increased to 5.5 lacs now. But they did not give me a upgrade offer . my business income of above 2.5 lacs deposited every month in my HDFC saving account . There is no RM associated with my saving account . I have sent my latest ITR once last month but heard nothing from their team . I called their customer care . To be honest they are more uncles to cross well their insurance plans. They customer care executive told me sir you are prime customer you are eligible for all our cards but this offers will come automatically to your account . Only solution is that please take a accident cover of 50 lacs from me now . While should I contact . The branch guys know nothing ,they too asking my home address to come sell some insurance products . HDFC life products . Only thing they know surrender the what ever credit card you have and apply freshly. Give 2 years ITR business continuation proofs, office address for physical verification .business card and what not. What is point of having banking relation ship with HDCC since 2012. You say that you have a Prime HDFC account which means you should have a RM name and number displayed at the bottom of your netbanking screen, anyway RM cannot do much, it is the bank algorithm which kicks in Credit card upgrades directly in the netbanking cards section. The bank people you are in interaction with look like fools or cunning, no need of buying any policy or 50 Lakh insurance, based on your banking value you will automatically get upgrade option in netbanking, I just had good FD amount and decent demat account with HDFC, no salary or business account like you but still i got Diners Black with 8 Lakh limit. And if you have such high deposits then why stay with Prime, upgrade to Preferred or Imperia, this also helps in kicking an upgrade for credit cards, I have Preferred account and have filled the form for Imperia and submitted ten days back, hopefully they upgrade the account fast, last time HDFC took 2 months to upgrade my account from Classic to Preferred. Prime is the lowest possible HDFC HNW account. Update: Logged in HDFC netbanking and my account was upgraded to Imperia 🙂 Total time taken was 11 days, some time must have been spent in holidays, weekends etc and also the branch did not have Imperia accounts, so they sent the form to other branch which would have taken 1-2 days too, so all in all fast work i would say. I am not applying for Imperia Platinum debit card as its Visa whereas Preferred Platinum Debit card is MasterCard., so will retain it. Now, next aim is Diners Black limit increase from 8 to 10 Lakhs Plus, will try after 6 months. which form you filled for upgradation of account ? they have slabs in premium banking programme . I am on prime now . how to move to preferred ? or should I apply for classic then preferred ? how to ask them to update my account since I do not expect Customer care guys will allow me to do so. If you maintain appropriate balance in your account, Let say 1 Lakh for Classic, 2 Lakh for Preferred, 10 Lakh for Imperia, You could approach any of the nearest HDFC branch and ask them to assign a RM for you in that particular category. once upgraded . will they downgrade next month? I maintain 4 lakh+ in account though I am a prime customer only. not upgraded to preferred. if I add cash and make it 10 lakh+ and manually upgrade to imperia. will they downgrade in next month if balance comes to 5 lakhs. Secondly, Based on your eligibility download the signup/upgrade form by clicking on :”What are the Terms & Conditions?” . You can upgrade to any account which you are eligible for, You can submit the form either at your present branch or the branch at which these accounts RM is present. For Example: My account branch is a small one but my Preferred RM was given to the bigger branch, after this my Imperia RM was given to the biggest branch in my tier 2 city. So, you account remains at same location but RM location changes. If your present branch gives problems then directly go to the bigger branch and have a talk, for Imperia branches you can get the address by clicking on ” What are the features and benefits” and then “sign up”. HDFC says there is no charge if you do not maintain AMB in the classic/preferred account. ever happened with you that your AMB goes below required for some reason and they downgrade your account next month ? DCB IS THE BEST CARD RIGHT NOW IN INDIA. WAY FAR AHEAD THEN IT’S COMPETITORS. HAVE BEEN HOLDING THIS CARD SINCE DEC 2016. BUT I ASSUME HDFC HAS GIVEN THIS CARD TO MANY BELOW ITS ELIGIBILITY CRITERIA AND THIS CAN COST THEM MUCH.YOU ARE LUCKY LAD IF YOU GOT THIS CARD WITHOUT REACHING THEIR ELIGIBILITY CRITERIA. (MAY BE DUE TO SOME KIND OF RELATIONSHIP WITH BANK LIKE PERSONAL LOAN , BUSINESS LOAN , HOME LOAN). I HOPE THIS CARD AND BANK WILL TAKE INDUSTRY BY STORM AS THEY HAVE EVERYTHING FOR EVERYONE ( DC REWARDS, DC PREMIUM , DC MILES , ANF AND OFCOURSE DC BLACK. USED HALF A MILLION POINTS THIS YEAR ONLY. MY GUIDE TO EVERYONE HOLDING THIS CARD IS ACCUMULATE POINTS FOR 2 OR MORE YEARS AND THEN SPEND IT LIKE KING. I AM STILL LEFT WITH SOME 200000 POINTS. I HOPE THIS OFFER NEVER ENDS 😂🥂. CARDS I AM HOLDING RIGHT NOW. 3. SBI ELITE (I USE THIS JUST FOR MOVIE TICKETS ON BOOKMYSHOW ) 2 FREE TICKETS EVERY MONTH OR 500 WHICHEVER IS LOWER. Do International transactions done through HDFC Regalia also accrue 10X reward points? SOTC addition is of no use unless you are traveling on a package tour through SOTC. In Smartbuy they’ve added convenience fee now, so less competitive now, but still it’s a good choice because you’re getting 10X rewards. They have flight booking as well. Compared to smarty buy thier airfares are better for few destinations. It looks like you are paying a convenience fee but when you go to the gateway the amount reflected is minus the convenience fee. anyone else can confirm that? Can you explain by what do you mean by upper Cap Reset: Calendar Month/Statement cycle? Are you sure? it says convenience fee but when you go to pay the amount there is minus the fee. Yes, now on payment page, its showing amount without con fee. Just curious to know the following.. If I type a product say ” ProductA” on HDFC Smartbuy -compare and shop and go to Amazon site thro the link. After reaching Amazon page, I decide that I don’t like ” Product A” and buy “ProductB” instead, then do I qualify to get 10X rewards for “Product B” ? No one knows till now, one of the authors here (Abhishek Roy) tried that but he has not yet reported here whether he got the points, waiting for his report/answer. In the mean time the trick is to search creatively in the compare and shop search engine, use all the small letters instead of full sentence product names. Yes. I forgot to update. I had got the points for the purchase. Though the customer care team will tell you that you won’t qualify for the points but just wait and watch, you will get the points. Besides, you can escalate if you don’t get the points but don’t tell that you went into that product from another product page. No, you will not get points then. Even I had the same query. How this tracking is taking place? Is it similar to other affiliate tracking or hdfc follow strict search-product policy? Is anyone know how to book Multicity Flight through Compare and fly. I just need to book a multicity flight, which is coming at a cheaper price if booked together. If I book flights worth 1,50,000 Rs on cleartrip via Smartbuy – I am actually eligible for 50,000 points as it has 33% rewards conversion. For this transaction will I be getting 25,000 points in one statement and the remaining 25,000 points in the next statement summing upto 50,000 points or will I only get 25,000 points max irrespective of the transaction value? The extra points are lost happened with me twice now. The way I navigate this is to use hopping flights and pay with two separate cards. How to upgrade to Religare from money back? they are asking me to subscribe to cross-sell product within 90 days from card set update ? Why did you buy from SOTC if it was 3-4% more expensive? Can’t you buy from Smartbuy compare and fly which has options from Yatra, Cleartrip etc? Could you do an article on what all cards you hold and how you use it ? I have Diners black and I feel I should be using it on all affiliated platforms and elsewhere as well for that 3.3% reward rate. Would love to know your idea of best case scenario. Do Bill payment (Landline, Postpaid mobile etc.) done through Payzapp- HDFC Regalia card earn 10X reward points?.. The t&c says “2. Maximum Reward points that could be earned is 25000 per calendar month on your credit card or Maximum of Rs.1000 cashback on your Debit Card. 3. The offer is valid till 31st March 2019. So it seems it is calendar month and not statement cycle for smartbuy too? The 25K cap on Reward points is for Diners Black or is it valid for Infinia as well? Also is it valid on Amazon using Compare and Shop? Yes for Infinia also, there is 25K cap on reward points for purchase / ticket booking through Smartbuy. 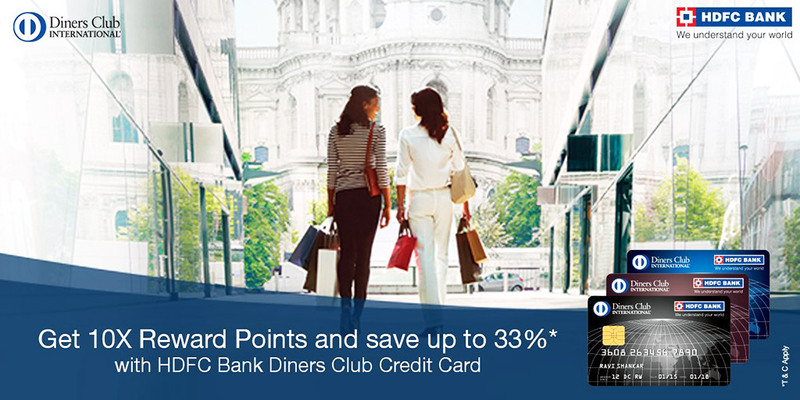 Also, for people who hold 2 HDFC cards (I have a DCB and an Infinia), is it 25K points per card per month via Smartbuy? This gives us a total of 50K points per month via Smartbuy, correct? Yes you are correct, I also hold two cards, Regalia and DCB. Recently there has been Amazon beside Flipkart in smart buy does it mean we get 10x on all amazon products as well? Yes on smart buy it is mentioned that we will get 10x for Amazon also. But on website, smart buy they have mentioned purchase from compare and shop and not from amazon directly can someone clarify ? I also noticed that, can someone answer what it means? FlipKart Big Billion days has a discount for HDFC cards, so buying it through flipkart (ofcourse from flipkart store in smartbuy) will get 10% discount and 10X reward points? is it not a loss for us to maintain 5 lakhs or above 10 lakhs in HDFC mainly in saving accounts. considering the interest rate they give is just 3.5 % . I am pointing FDs but saving accounts balance. will the benefits HDFC offers compensate the interest rate return we are going to give up? #I am asking this because I maintain a high saving amount in Yes bank . it give 6% . I may going to transfer it to HDFC saving and make my account to HDFC imperia. what your opinion on this? If you maintain FD worth 30L in HDFC Bank then you will become IMPERIA Customer, their FD rates are very competitive, you get 100% discount on locker fee for any locker size for being imperia, HDFC has biggest locker which costs 40,000 a year, so that alone should reap you a lot of money, besides you can check HDFC website for full benefits of IMPERIA program. which size locker has that price?? The biggest locker, Not all branch has that locker size. Thank you sir , so only SA and FD deposits are considered as NRV ? Any other like demat account holding,mutual fund holding,general insurance or health insurance with HDFC considered in NRV ? Mutual Funds, Any Kind of Insurance or Demate holding is not considered for NRV. Has anyone got 10x points by buying through HDFC Smartbuy Compare & Shop – Amazon ? Yes exactly after 90 days of waiting. Yes Rohit.. you get 10x for that..
Amazon smart buy link is not same as Flipkart smart buy link. Flipkart has a dedicated website for Smart buy which has unique logo and look and feel is different. Whereas for Amazon, it still goes through tracking website and you can’t prove the purchase unless you record a video. However for flipkart, the website has different logos, once you purchase, screenshot is sufficient for proof of purchase. Flipkart purchase points always get credited on 2nd or 3rd of every month whereas for Amazon you may need to wait around 90 days. Amazon vendor also added like flipkart in smartbuy portal. Page gets redirected to amazon.in website, where you can search and purchase anything. Confirmed with HDFC customer care. Does Smartbuy 10X on DCB work through Payzapp app as well? Appreciate if someone who tried and validated this can confirm here. Do you have to log in to smart buy to avail this offer? I recently bought a laptop on flipkart going through smart buy page but as guest. Now there is no record of that transaction on smartbuy page. How do I escalate if 10x points are not credited (as many people have experienced previously). I have a query regarding smart buy. Will I get 10x points for my regalia if I use no interest emi of flipkart for my transaction of buying of mobile during big billion days? i too have same question for my diners black card. Yes, you do get 10X points in this case. But note that it’ll be posted in parts based on how much being charged to card every month. Hi Nitin, Did it work for you? Example 1: In November, If statement cycle is 15th of every month, i can purchase tickets on 14th from SOTC worth 75K, again from SOTC on 16th for 75k, again on 29th through SmartBuy worth 75k and finally from smartbuy on 2nd of December worth 75k, together i will get 100K points credited. Are there any violations happening as per T&C? 10x partners offer is per statement cycle ? means if my statement generated date is 5th of every month cap will start on 6th ? smartbuy offer is per calender month ? every 1st it will reset ? Is add on card also eligible for 10X point ? You can get 10x for add on as well, Primary card holder and add on both have same 10x upper cap. HDFC primary card and addon cards are treated as a single card. They have the same card number. Even CVV number is same. All transactions done on either card will be counted on primary card. This card is crazy & like you aptly pointed out ‘addictive’ rewards! I have received at least 3.7L (transaction volume around 35L) in rewards in the last 13 months! Thanks to Card expert & Siddharth!! – I wouldn’t have gone for this card otherwise! SOTC 10X offer is valid only for holidays. It is not valid for flights, hotels, individual services etc. And also in HDFC terms and conditions, if you see SOTC logo, it says SOTC for holidays. I cross checked with HDFC call centre who checked with their marketing team to confirm this. So to conclude, offer is not of use if you do not book holiday/package tour with them. If someone received 10X on flight or hotel booking on SOTC, please highlight so others can take advantage too. Hi Mates…Need some help here. Any idea if 10x offer is applicable for voucher (eg. lifestyle) purchase from Amazon or Flipkart? Please help with the below query……. Example :- If i will use my Diners Black credit card for Rs. 30K on 30th Nov @ POS International Txn and again use the same card for Rs. 30K on 1st Dec (post previous calender month) then will i get 10,000 RP each for both the transactions done in the month of Nov & Dec.
Be watchful of when the 30 nov transaction is claimed by the merchant. Reward points for outstanding authorization amounts are not credited. Once the amount is moved to billed debits, then on that day the reward points will be considered. In your case, it may probably be claimed by merchant in next month in which case you wont get points. I am sure this happens with online transactions but not sure of pos transactions. I lost 14k points because of this issue. I always keep 2 days buffer for not getting into this issue. I used to pay dues of Air India SBI Signature card using SBI debit card. With this process I used to get reward points from the debit card too… Is there any way to pay HDFC DCB Credit card dues using SBI, Axis bank or HDCFC Debit card other than netbanking… Pls Suggest.. I have recently got a diners black credit card. I did a transaction on Redbus – which is a 10x partner – a few days back. I have received only 1 reward point for the transaction, and not 10. I booked the ticket via normal route. Does is take time to credit 9x points like in smartbuy or is there something special I should have done to avail the 10x offer. TnCs updated for 10x on Smartbuy: jewellery, gold and gift vouchers purchases exculded from 10x eligibility. Maybe lots of enquiries went into customer care team about eligibility for gold and GV purchases on Smartbuy. This is big change! As a practice for past several months, I had been purchasing gold coins from Flipkart using the Smartbuy route. Will bank be able to track what is being purchased from Flipkart? 1. Has anyone bought international flight tickets on smartbuy? How was the experience? Did you face any problems with the booking or with the airlines? Did you get 10x points. I am considering booking an international ticket, that’s why. 2. Also my credit limit is less than the total cost for the flight tickets for four people. So how do I book without splitting booking into two tickets? Are we eligible to get 10x points for coin purchase on tata cliq via diners? Were you able to verify this? I had recently received 10X on purchase of coin through Flipkart Smartbuy. (They had updated T&C by that time). Or maybe they started enforcing the new rule a bit later? Nevertheless, pl update here if anyone has experimented on this. Which month transactions are you referring ? Since flipkart 10x points come after the month end. So December month 10x points would be credited after 31st December. Can you please confirm this ? I purchased it in in the end of November. Later I found that t&c were updated before I received the bonus points. This made me confused. Anyways I have made another coin purchase a week back. Will get to confirm this in a couple of days I suppose. Any idea if the 10x offer on smartbuy is going to be extended beyond Dec 31? It’s continuing till March 31, 2019, as per the TnC on HDFC SmartBuy site.